Try as we might, it becomes increasingly difficult to shield ourselves from marketing influence. We can get rid of our TV, radio, and social media channels. Isolate ourselves from popular culture, and they still find ways to steel our ears and eyes for a time to try and sell us unnecessary products and services. Are we really so desperate for entertainment that we need this? Can we not read a book, pay bills on our tablet, listen to music on our mobile, or heaven forbid, be left with our thoughts? Ah, and the ever horrible……. talk to a stranger…… make a new friend? OH THE HORROR. We have every ability on our personal Television except the ability to turn it off. Sure we can choose not to listen to it, but the picture is right there in front of us all the time. Little ignoring that. Advertisements popping up every fifteen minutes. One advertisement in particular that kept popping up was for the airlines credit card; “Earn milage points” and whatnot. As if the TV ad was not enough (as it was neigh unavoidable), one of the flight attendants gave a little speech during the flight advertising the credit card as well; spouting off all the rewards and bonuses the card offers. It’s not enough that we limit the media channels we expose ourselves to. We must also make a conscience effort to truly ignore the influences we can’t avoid. It’s toxic. 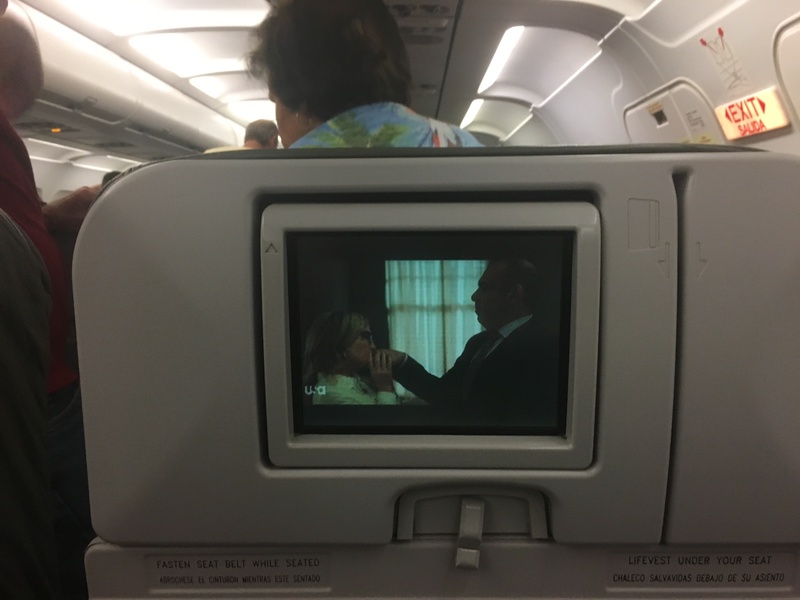 It helps to have positive diversion to distract our senses (listen to music from our mobile device when the flight attendant starts spouting off about the credit card, for example). All this influence, all this garbage information, it just taking up mental real estate that would be best used for valuable information.